Happy bank holiday weekend everyone! I've just gotten back from a holiday travelling, eating and sunning myself in Eastern Europe - 'eating' being the key word there. Does everyone else's healthy eating seem to go out of the window when on holiday? I mean, it's a requirement to have an ice-cream a day on holiday right?! So now that I am back to reality, I am back on the healthy train, cutting down on the cheesecake ice-cream (yes, I discovered that's a thing!) and trying to have some healthy alternatives back in my diet. So when the guys at Seamore food got in touch and asked if i'd like to try the 'I Sea Bacon' bacon/pasta alternative, it couldn't come at a more perfect time! Being gluten free, I have struggled to find a really great pasta alternative. 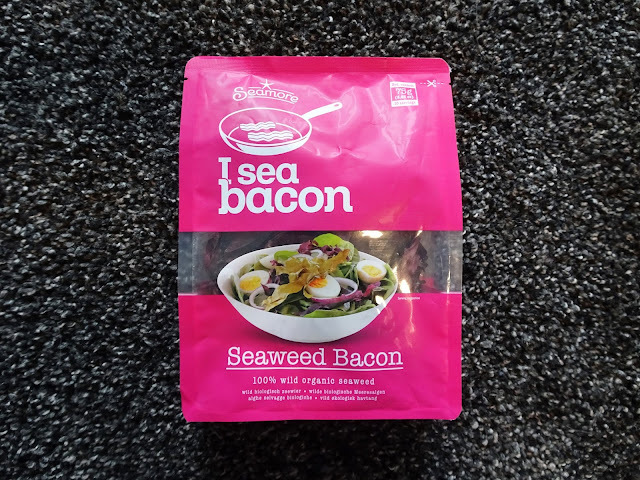 This product is an usual mix of a pasta but also a versatile topping to salads/breakfasts - basically anywhere you would use bacon! 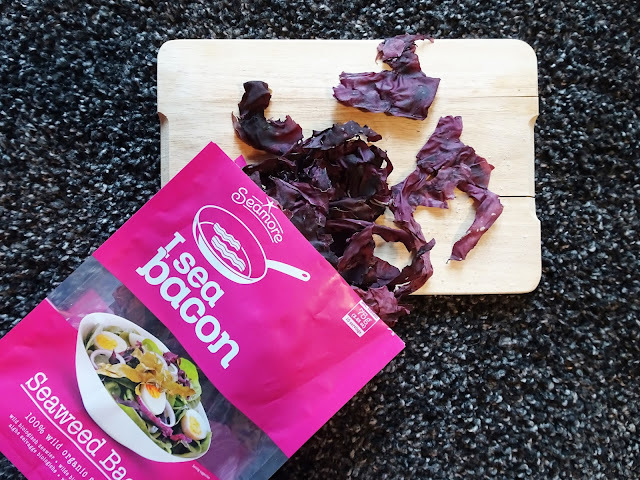 I Sea Bacon is 100& wild, organic, vegan and gluten free so is perfect for everyone and depending on how it is cooked can be used in a variety of ways. If you steam this product, it tends to become the raw seaweed you think of at the bottom of the sea. But trust me, add in some garlic and chilli or toppings of your choice like you would with pasta (it's great with seafood) for a delicious smoky, salty flavour and something much healthier than pasta! Another cooking alternative, is to shallow fry (if you want to go super healthy, use coconut oil) it for a few minutes, letting it turn crisp and crunchy and you have your very own vegan bacon! Honestly, it has the salty flavour and a similar taste to jerky. Perfect to add to salads, or even just munch (which you can also do raw straight from the packet!) for a healthy snack alternative. 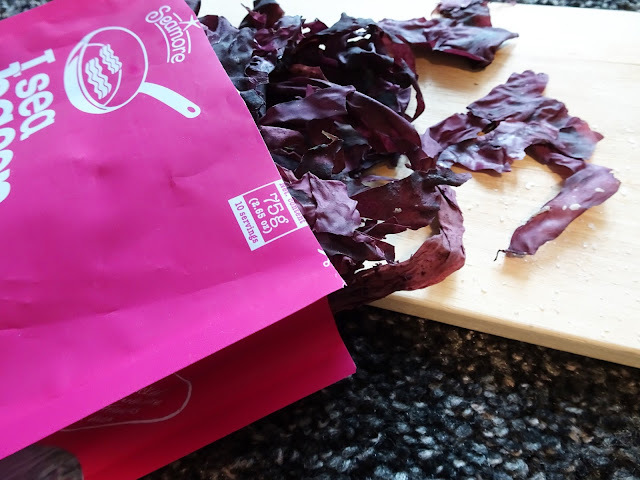 For a light and crunchy alternative to bacon, a great ingredient to add into your diet (seaweed has some great health benefits) give this product a try. I found that it works better as an add-on to add flavour to a dish, rather than the main ingredient. For example, adding crispy strips with munchy seeds (pictured above) to a salad, made it a lot more exciting and helped to make a potentially boring lunchtime salad a lot easier to eat. Vegans out there, give this a go - this is the closest alternative i've eaten to bacon, and i've also heard that it's great in a burger for added flavour. 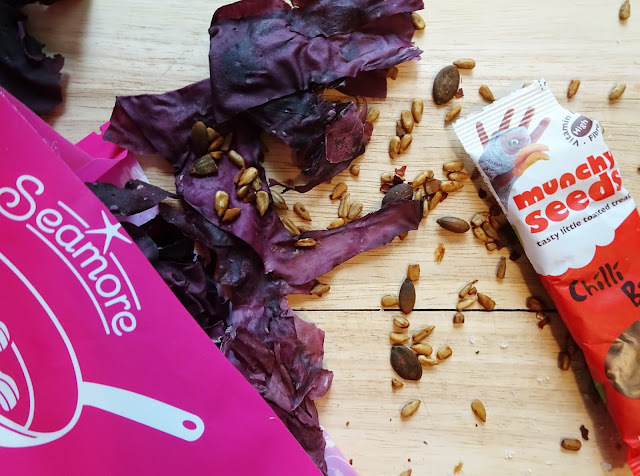 Seamore also have a few other alternative products in their range, which you can check out here. Let me know if you give this a try and let me know what you think! *This product was kindly gifted to me to review on my blog. Review and pictures are my own.